When you want to know how a real luo with cash rolls then Owago Nyiro is the best example to have a glimpse on. 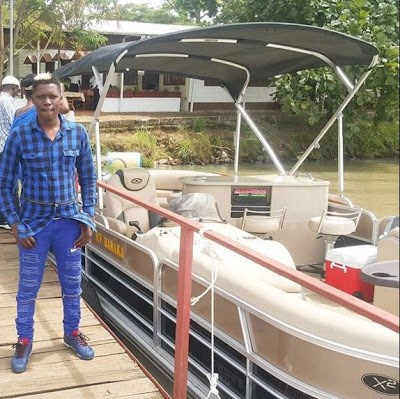 It all started at the Churchill show where the lad has risen to the ranks and currently affords a celebrity status. Thanks to his big efforts on the comedy he does. 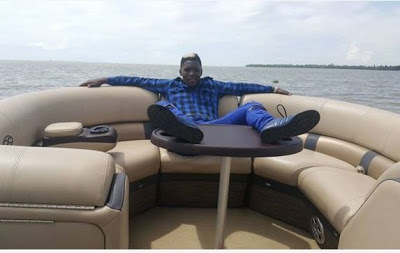 The lad who is famed for his slogan ‘UJALUO UTAKUUA’ was spotted in Kisumu enjoying a Yacht ride. 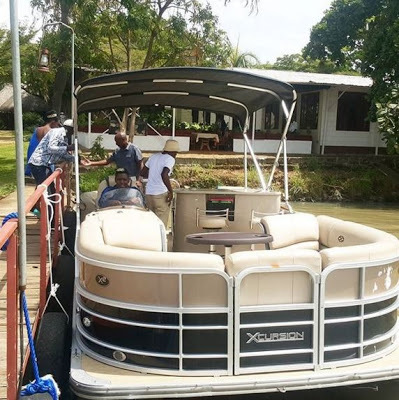 thats a cuddy cabin or an express fisherman boat.not that expensive to hire.